Straumann Impression Coping Caps – Are they necessary? 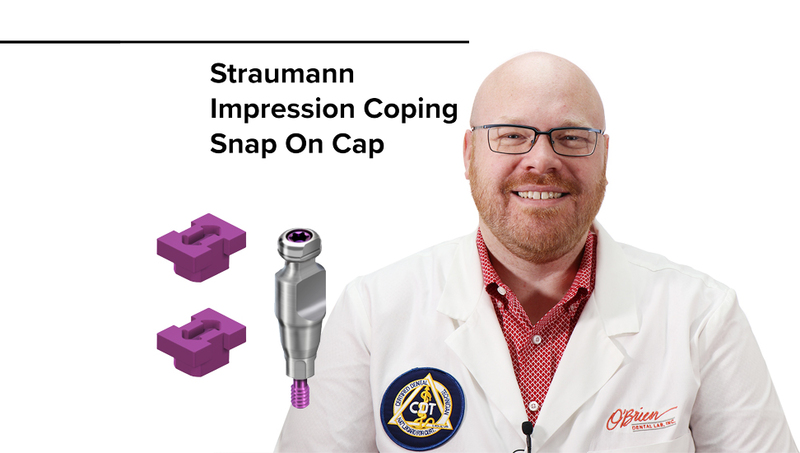 Implant Specialist Alex Rugh, CDT explains why you may not want to use the cap that comes with the Straumann closed-tray impression copings. If you do want to use the cap, Alex explains what precautions to take. The purpose of the cap is to provide a solid seat when placing the impression coping back in to the impression. No, they are not necessary. The Straumann impression copings can be used with or without the plastic caps. If you do use the cap, handle it gently to avoid damage. Use only medium or heavy body impression material to help keep the cap from moving when the tray is pulled. We suggest that you do not use the plastic caps. We have found that sometimes the cap can prevent the impression coping from seating completely. This can happen from the cap shifting when the impression is pulled or from other damage that may have occurred to the walls of the cap. When the cap is damaged or has shifted, it can prevent the impression coping from correctly re-seating.